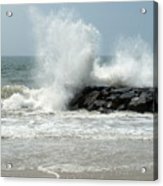 The Ocean's Strength iphone x case by Terrie Stickle. Protect your iPhone X with an impact-resistant, slim-profile, hard-shell case. The image is printed directly onto the case and wrapped around the edges for a beautiful presentation. Simply snap the case onto your iPhone X for instant protection and direct access to all of the phone's features! The image was captured as Hurricane Bill, a category 4 storm at one point, was leaving Cape May, New Jersey in August of 2009. Luckily for the residents of this small island town, the hurricane remained offshore but that did not stop it from closing beaches and causing some havoc. Although it does not look like it in the background, the ocean was a bit rough and the waves were very powerful as you can see when it meets the rock pile. 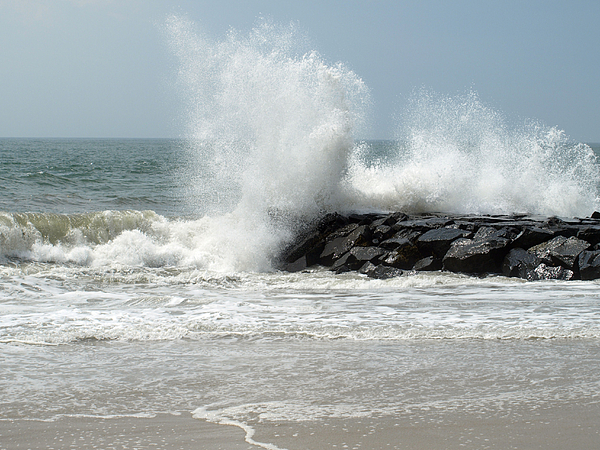 Strong waves as high as 15 feet and deadly rip currents were reported. The storm passed New Jersey as a category 1 storm with sustained winds of about 85 mph with higher gusts.